1 Sep 2015 Enfield - Today sees the launch of CloudWATCH2, which leads on from the successful CloudWATCH project which finishes on 30 September 2015. Building on the outputs of CloudWATCH, CloudWATCH2 takes a pragmatic approach to market uptake and sustainable competitiveness for the wider uptake of new cloud services and products from European research and innovation initiatives. 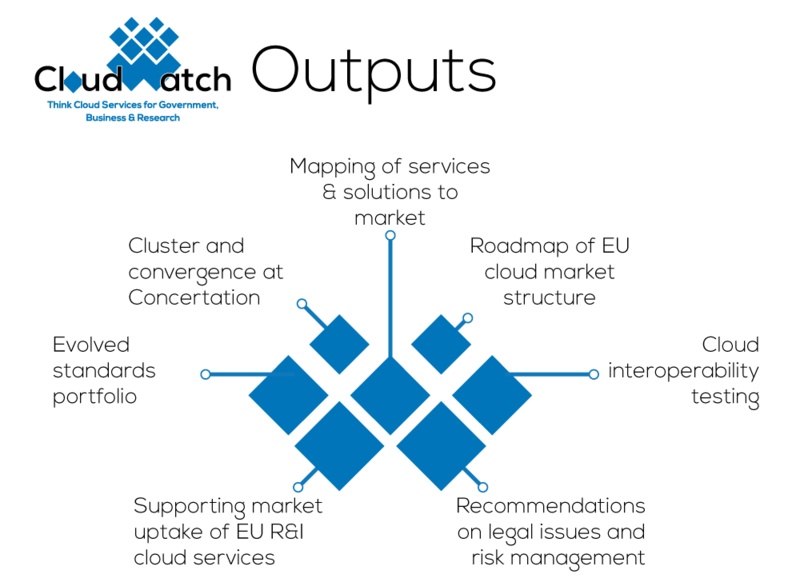 Running until August 2017, CloudWATCH2 helps R&I initiatives to overcome challenging issues like standards and pricing to maximise the socio-economic impact of this new cloud ecosystem.